“Trying to install WinFF on my Mac OS but it not works with my mac version? Why?” What you should know is WinFF is just compatible with Windows. Luckily, there are many WinFF for Mac alternative on market and you can choose one from them to have a try. Here we give a brief introduction on WinFF and offer useful solution for you. Part 1: What is WinFF? 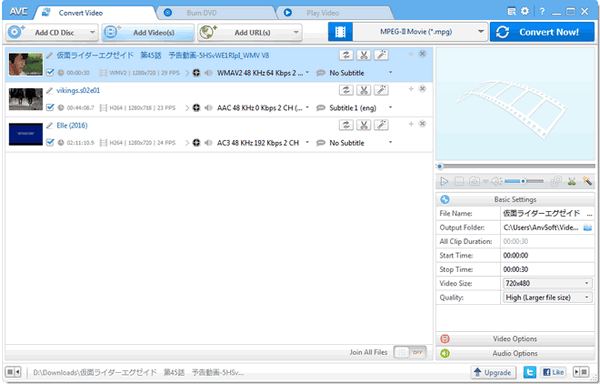 WinFF is an FFmpeg based GUI for Windows. WinFF is free video converter for Win Xp to Win 10, Debian, and Ubuntu. WinFF has been used around the world to help people post their videos on the internet despite repressive regimes. And what’s FFmpeg? FFmpeg is the command line, cross-platform tool to record, convert, compress and stream audio/video files. WinFF is a GUI tool to convert and compress each file that FFmpeg can convert. WinFF implements FFmpeg and includes many presets to convert video to portable devices like iPod, PSP, iPhone, etc., to regular video and audio formats like MP4, AVI, 3GP, 3G2, MP3, M4A, etc. You can even add your own presets for any special devices. While everyone knows that WinFF can’t work on Mac operating system, WinFF for Mac alternative is needed. There are 5 WinFF for Mac alternative, you can get them here. Leawo Video Converter for Mac is a multi-featured video tool that function as a media converter, a video editor, a YouTube downloader, a video recorder. The wide range of provided features makes it a good alternative to WinFF for Mac alternative for convert and playback files on various platforms with enhanced video quality. The application comes with an intuitive interface that resembles the appearance of most converters. The conversion follows standard procedures so that anyone can complete the process with ease and in proper conditions. Choosing the output format is easy-to-operating, since the target profiles are converted that supported by most mac devices. With the upgraded version of Leawo Video Converter for Mac, you will benefit of an improved conversion speed. With its support for the Intel technology, the program allows you to increase the speed of conversions. It is about 90 times faster than any other video converter online, which makes most files compatible with all devices with faster speed and original quality. Leawo Video Converter for Mac is able to create 2D to 3D files, does much editing to enhance the video visual effect. With it, users can customize their converted video. The converter makes conversion process be easy with a nice, fluid drag and drop feature. Leawo videos converter for Mac becomes compatible well with quite a lot of devices, especially for Mac OS. With the high speed and the excellent performance, you can expect nothing but great results. iCoolsoft Video Converter for Mac is an app that helps you convert your movies to a wide range of multimedia formats. You can make a good use of this program when encountering incompatibility issues between your favorite videos and your iPhone, Xbox or PSP device. This handy tool provides you with a wide range of features, such as support for batch conversion, access to various video editing tools, an extended list of output configurations, and much more. The processing speed is moderate, but the results are of high-quality. In additional, the app also allows you to personalize your movies with image or text watermarks. An advantage of iCoolsoft Video Converter for Mac is that it lets you extract the sound tracks from your movies. You get to choose from dozens of audio formats compatible with your iPod, mobile phone or tablet. This program brings easy to configure output settings, offers high-quality output, and comes with a reasonable price. ffmpegX is an application that allows users to convert between a very generous range of audio and video extensions in mac version. It makes use of some of the most popular open-source media processing tools available to offer a fully customizable conversion alternative. Thanks to the 20 Unix tools integrated, the capabilities of ffmpegX are certainly impressive. You can choose a specific audio or video codec used for encoding, change the bitrate, sampling, channels and many more parameters in order to get the desired output. While ffmpegX has no support for batch conversion; users can only convert one file at a time. Kigo Video Converter is a free video converter for the Mac. The first time you launch it, it looks like a native Mac app. The application is incredibly intuitive and that is because of its interface. You can simply drag and drop files to the interface to add them to your conversion queue with effective and good-looking. Although the output format support is limited in this converter, it makes up for that with a nice YouTube video downloader that works great and is incredibly fast. 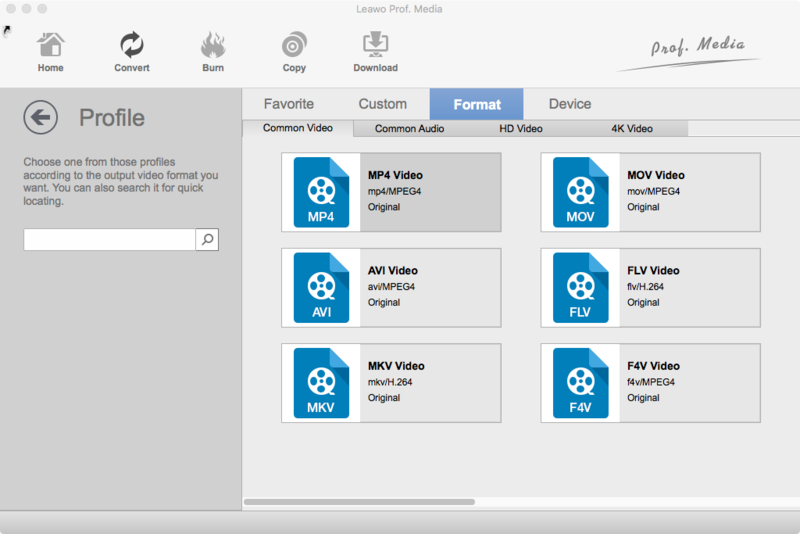 The supported output formats are AVI, FLV, MP4, and WMV, among others. Any Video Converter Free for Mac is a universal video conversion application for Mac users. 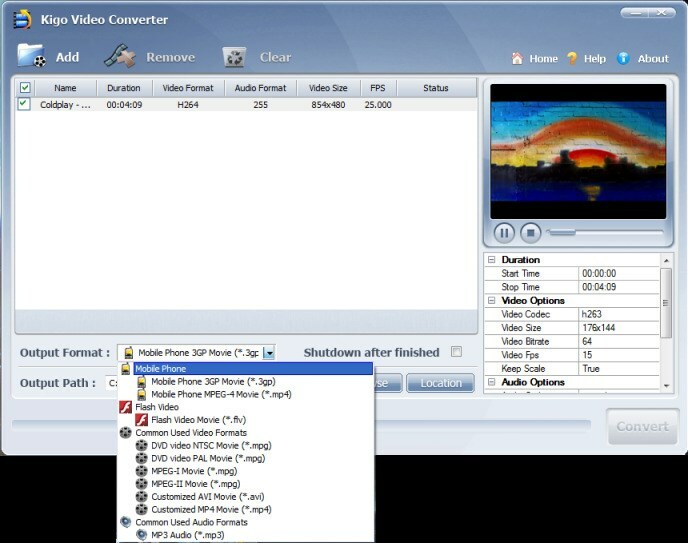 This video converter can convert between most video formats including ASF, AVI, MPEG1/2/4, WMV, MOV, MP4, etc. Videos can be downloaded and converted in batches, and simple conversions can be completed with only a couple of clicks. It brings fast conversion speed and high-quality output from your mac. 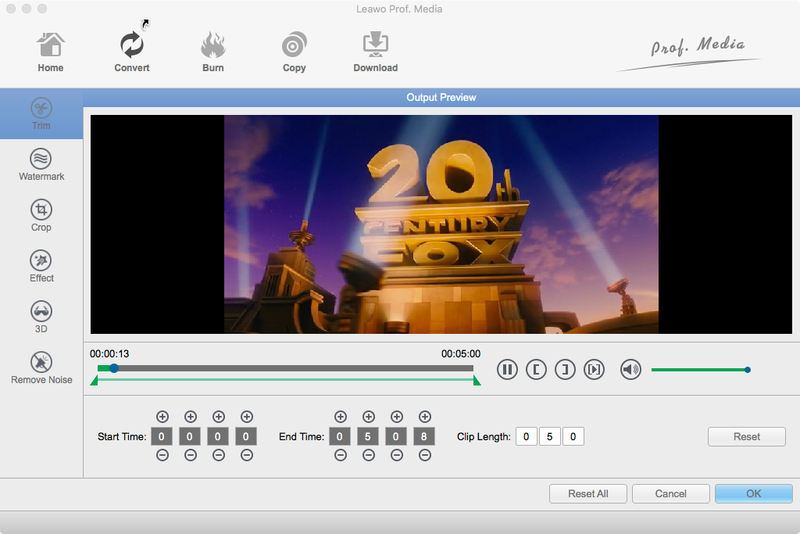 Its built-in tools help you convert between dozens of media formats, edit movies, and much more. Now, you will get the tutorial on how to convert video on Mac with the best WinFF for Mac alternative, which is not a complex process although it involves a series of steps. Just follow these step we offered, you can convert your video to your desired format with only one program. Go and give it a try now. As for the choice of the video converter, I would recommend that you use Leawo Video Converter for Mac, which is the one we are using in the steps below. Download Leawo Video Converter for Mac from official website; install it in your computer. After the downloading and installation is finished, launch the program and upload the file to convert. Tap on “Convert” button in homepage，alternatively，select “Video Converter” in the bottom right pane to starting conversion. Import all files you want to convert, click “Add video” button on the top of navigation bar to select the videos from Mac or add the videos by dragging and dropping them into the program. For WinFF for Mac alternative, I highly recommend Leawo Video Converter for Mac, which is a comprehensive video converter that supports almost any video format. Whatever you want to convert video to play on mac, or convert video to edit with your video editing software, it’s a reliable WinFF for Mac alternative.